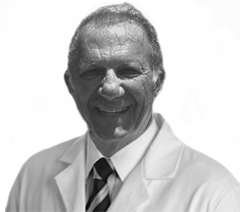 Dr. Abraham is the inventor of the ForceField FFTM Protective Sweatband and founder of ForceField FF (NA), Ltd. He has over forty five years of experience in evaluating head and brain protection for every sport, recreational activity and for Seniors and children ranging from toddlers to adults. Additional US Patent applications applied for. The Universal Headgear is the leading provider of Protective Headbands designed for Seniors. It is the only approved and proven protective combination headband, sweatband, and headgear endorsed by medical specialists, chiropractors, and scientists. Activities which may involve falling and/or impact forces to the head and other parts of the body are dangerous and can result in brain injuries that may be temporary or permanent. Return policy: If the product arrives in a defective condition, a replacement will be made free of charge if the product is returned. First of all, from one senior to another, I thank you for purchasing the most universal headband / sweatband / headgear ever invented. We all reach an age where we have a fear of falling for a very good reason. As you know, the most common mechanism of injury to seniors is falling. Falls are the leading cause of death, injuries, and hospital admissions among the elderly population. It has been reported that one out of three seniors experience a fall every year leading to more than 1.6 million hospital admissions in the United States emergency rooms for fall-related injuries. There are a number of factors that contribute to the fact that seniors fall more frequently than younger people. Their lack of physical activity in failing to regularly exercise result in poor muscle tone, decreased bone mass, loss of balance and reduced flexibility. In addition, there are other factors such as impaired vision, medications, and diseases such as Parkinson's, Alzheimer's and arthritis. Also related to falling are hip replacements and other surgery that leave seniors weak, in pain, and experiencing discomfort. This results in those seniors and that segment of the population being less mobile than they were before surgery. Over the last 48 years, I have been involved and successful with focusing on the reduction of the risks associated with head and brain injuries in a variety of areas. ForceField's Universal Protective Combination Sweatband, Headband and Headgear has found popularity with seniors throughout the United States and has become the leading provider of protective headbands for seniors. Seniors in nursing homes, assisted living facilities and Veteran's with traumatic brain injuries in Veteran's hospitals have also found use of the universal headband is a source of protection for their most valuable organ in their body - their brain. Again, thank you for taking the time to look after your own safety and welfare by purchasing a proven and technically approved product endorsed by medical specialists, chiropractors, and scientists. If you have any questions, you may email or text me at any time, and I will be happy to reply.